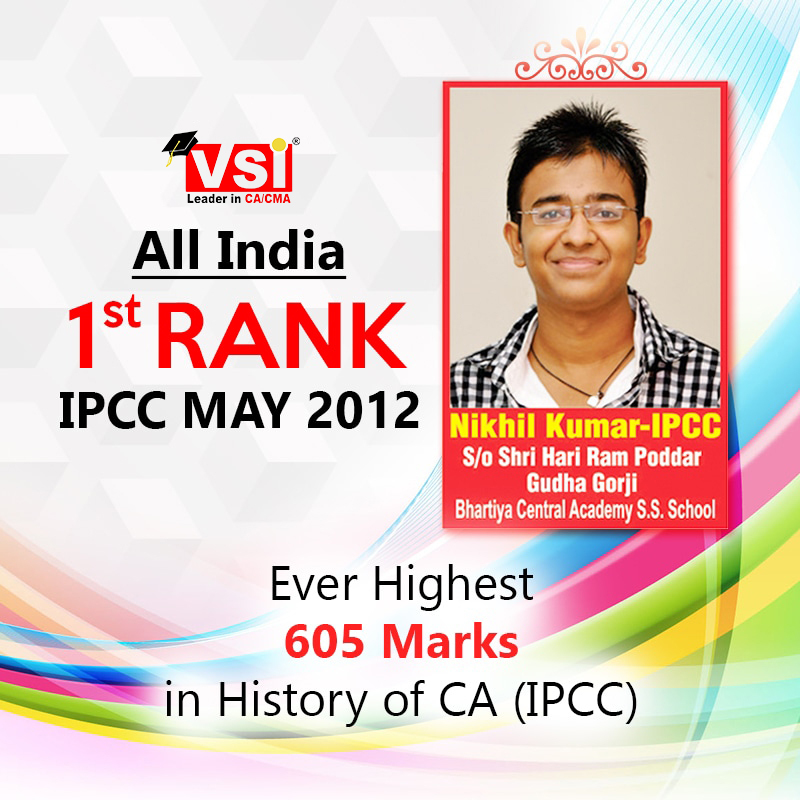 Till Now VSI JAIPUR's More Than 4031 Students Have Cleared IPCC exam. 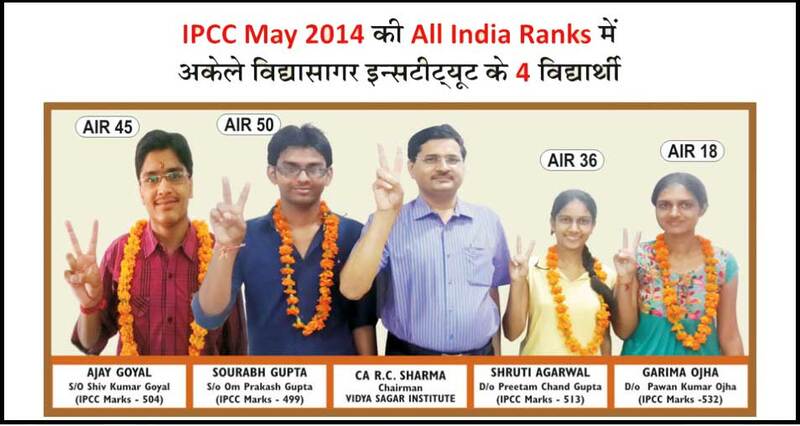 Our Students Gaurav Sarawagi secured All India Rank 1st, along with our 3 students in top 50 All India Ranks. 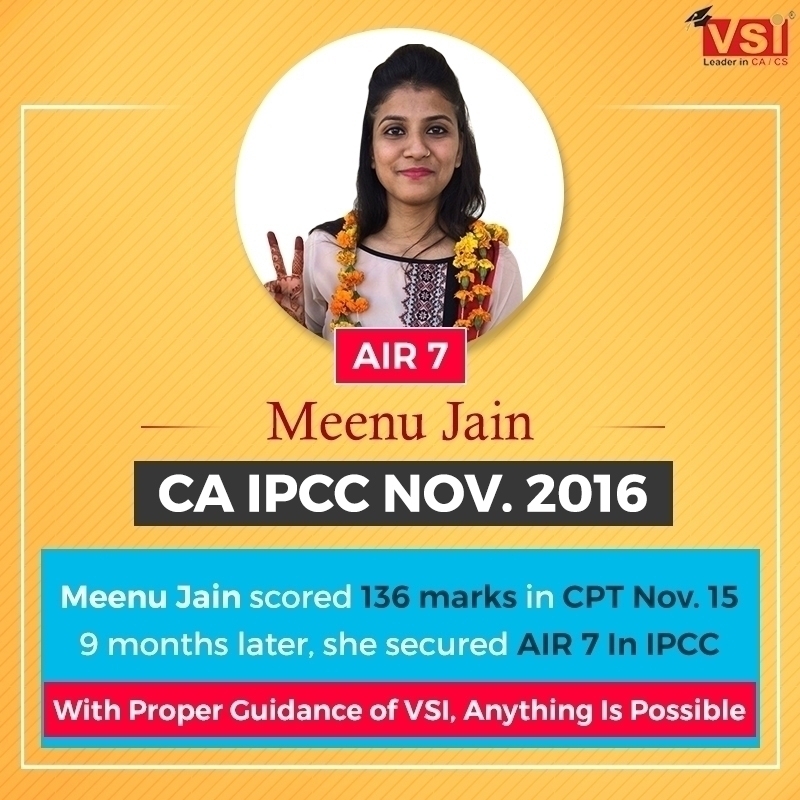 Our 1 students ranked in Top 10 All India Ranks Meenu Jain ( AIR 7 ), along with our 5 students in top 50 All India Ranks. 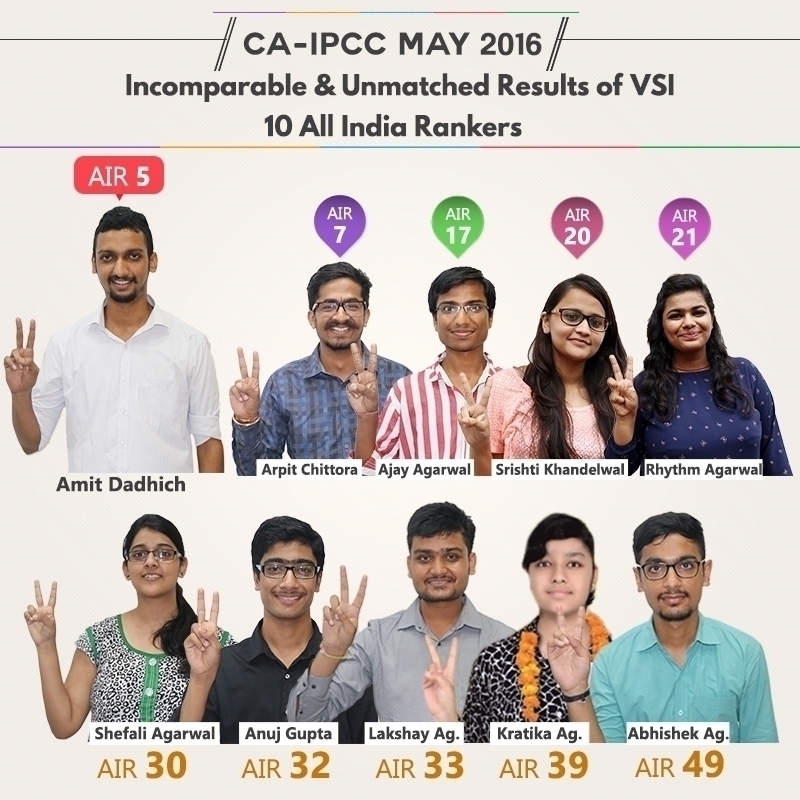 Our 2 students ranked in Top 10 All India Ranks Amit Dadhich ( AIR 5 ) and Arpit Chittora ( AIR 7 ), along with our 10 students in top 50 All India Ranks. 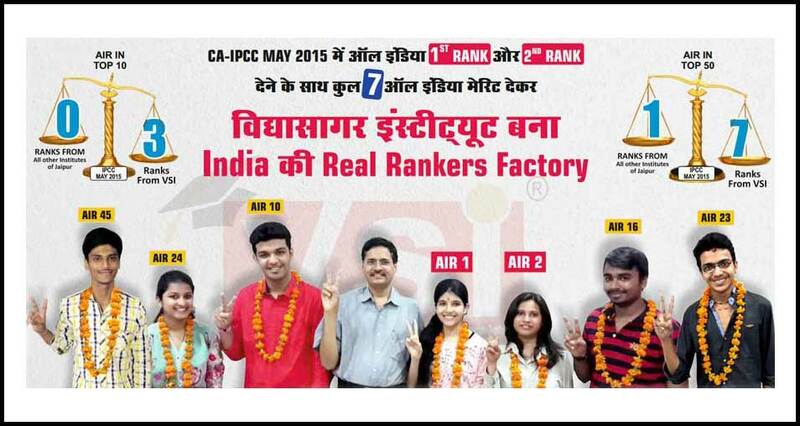 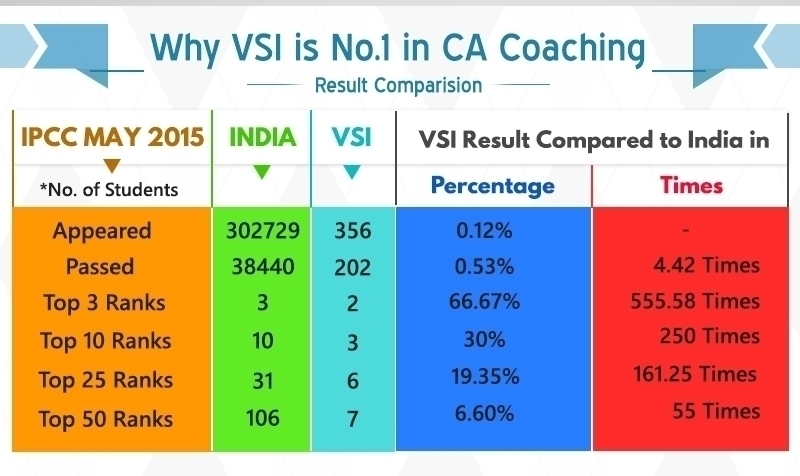 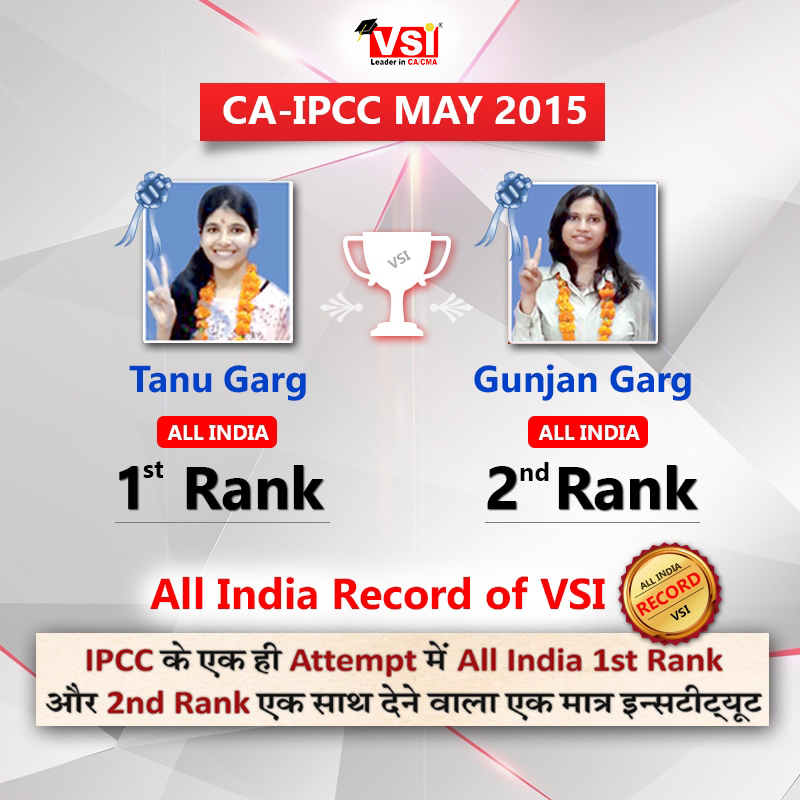 VSI Again Made a Record of Being The Only Institute Giving 2 Students Tanu Garg (All India 1st Ranker) and Gunjan Garg (All India 2nd Ranker) with 7 other All India Merit Takers. 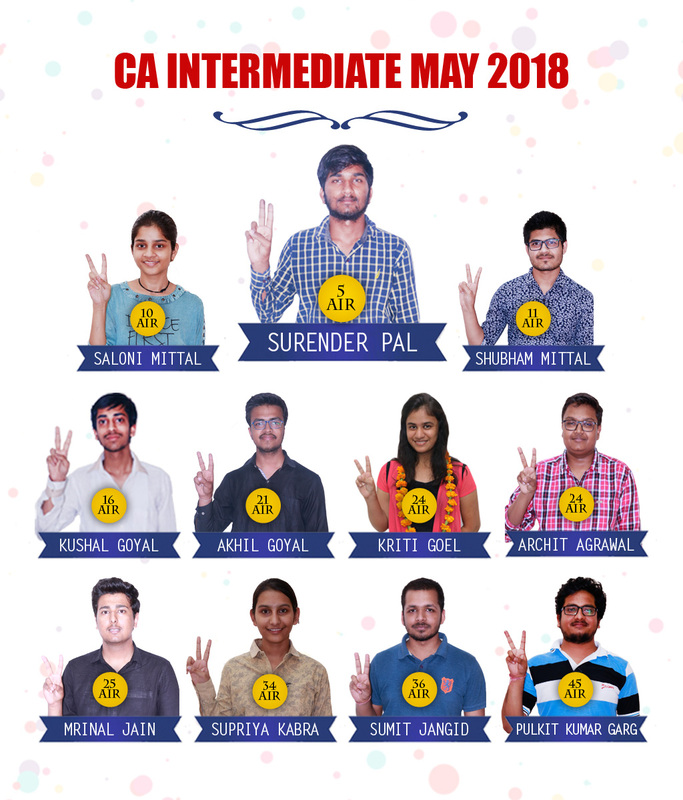 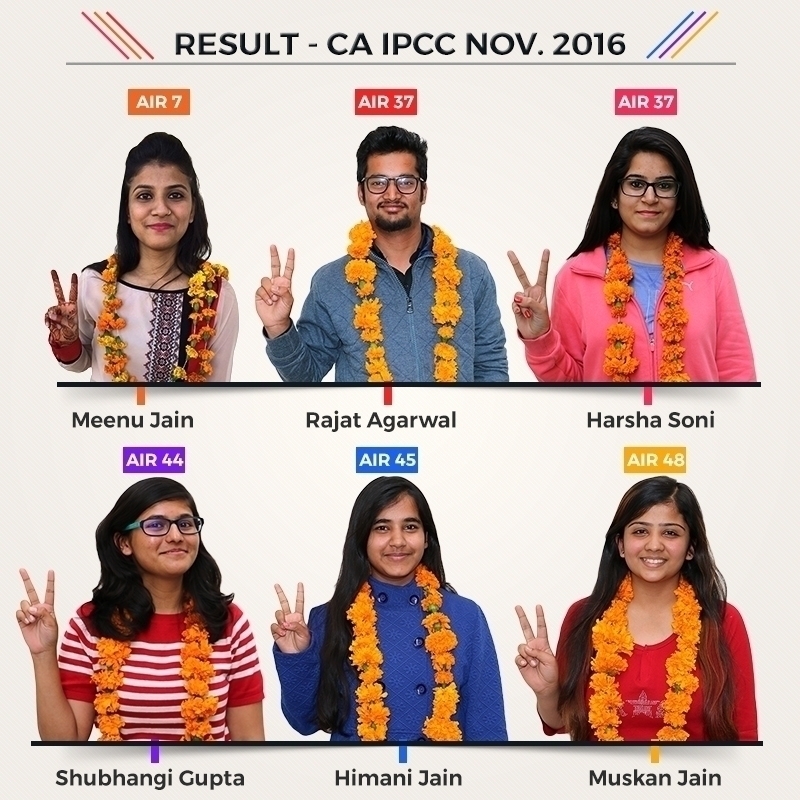 Our Institute has Always Given Top ranks in All CA –IPCC Attempt, Because we know Learning is only Based on the understanding of Each Topic clearly and completely and That is why our Focus is Always On Our Student That They Understand Each Topic Completely And Taking Additional Classes To Solve Their problems.